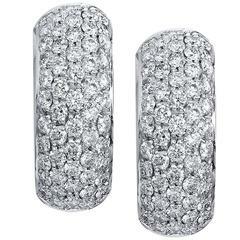 14k rose gold earrings set with white and champagn diamonds weighing approximately 1.60 carats. 18K Rose Gold 6 round Diamonds 0.55 cts. 64 round diamonds 0.79 carats.